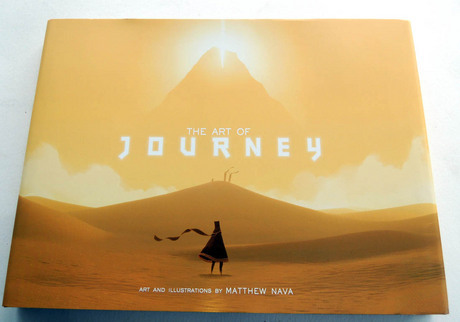 Matthew Nava and Adam Adamowicz, The Art of Journey (Los Angeles, CA: Bluecanvas, Inc, 2012). Graphic Arts Collection. Gift of John Nava. 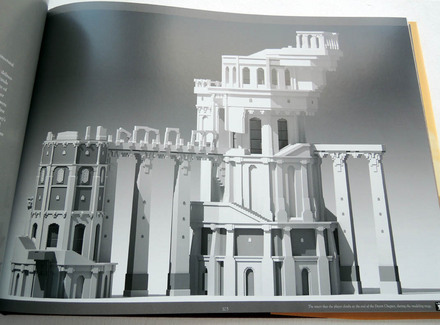 Looking at the pages through your phone or tablet, the figures move and spin; the buildings jump off the page and allow you move around them 360 degrees; and the landscapes seem to stretch beyond the horizon. 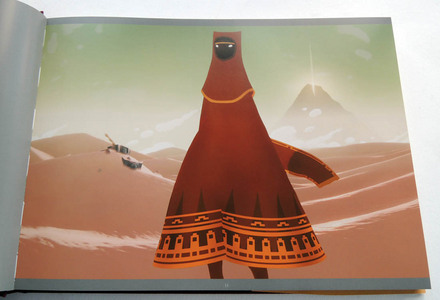 I was particularly interested in the designer’s choice to create figures without arms or hands so that they could not fight, which is the usual impulse with gamers. Bring your own phone, download the app, and enjoy.